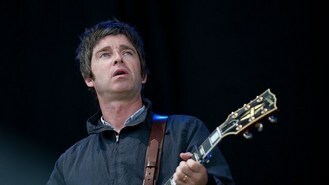 The Oasis turned High Flying Birds star said that he went for a brain scan to find out what was wrong with him. He told Andy Goldstein's TalkSport show: "I went for a brain scan. They did find it! "I've got bizarre ringing in my ears. I think it's just through playing guitar for the last 20 years so I had to sit in a tube in the hospital. "It's an accumulation of many things but I've had a b****y great time doing it all and if I do eventually die of brain disease it will have been worth it," The Sun reported him saying. He said he was asked to put on headphones and chose classical music. "It came on and it was the exact music I play to my little kid when he goes to bed. I was in there for 25 minutes. "It was horrible. I know what the results will be - 'There is nothing wrong with you'. It's another way of fleecing money out of you."